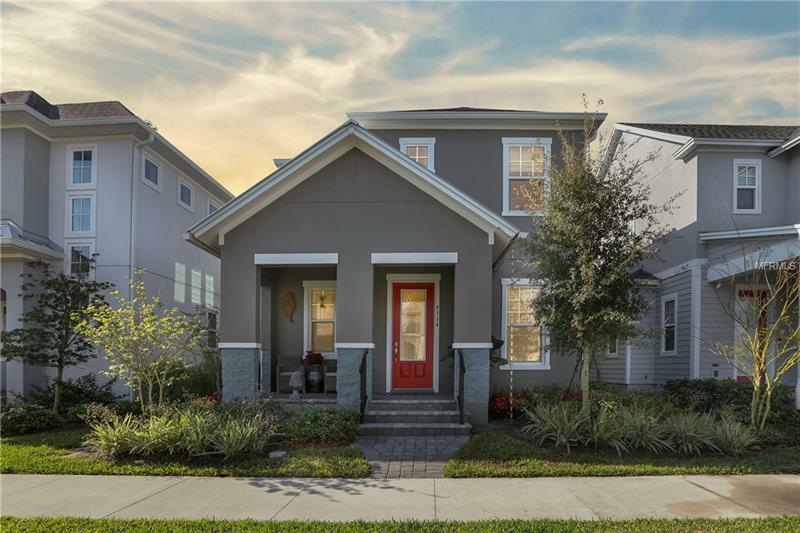 Welcome home to this popular Kahneman II David Weekley Homes floor plan. Located on a quiet street and convenient to all the community has to offer, this home has it all. A cozy front porch leads you into the interior where you find the open concept plan with windows that fill the home with sunlight and is enhanced by the wood-like tile throughout the main living of the first floor. The streamlined kitchen has granite tops, decorative tile backsplash, an island with breakfast bar seating and a closet pantry. This area is perfect for social gatherings. The spacious office offers the perfect space to work from home. The master wing provides a retreat with its spacious bedroom and bath with dual sinks, large walk in shower with floor to ceiling glass surround and a walk in closet. Upstairs you will find the remaining bedrooms along with a loft great for a second living room or playroom. Outside there is a covered lanai where you can sit and enjoy a cup of coffee before work and a two-car rear loading garage. The neighborhood of Laureate Park offers everything - fitness center, aquatic center, pocket parks and miles of trails. There are A-rated schools and shopping within minutes of every street. This home includes a one-year home warranty. Make your appointment today!